(AFP) - Aid workers raced on Wednesday to help survivors and meet spiralling humanitarian needs in three southern African countries battered by the region's worst storm in years. She added: "Unfortunately, we can’t pick up all the people, so our priority are children, pregnant women, injured people." 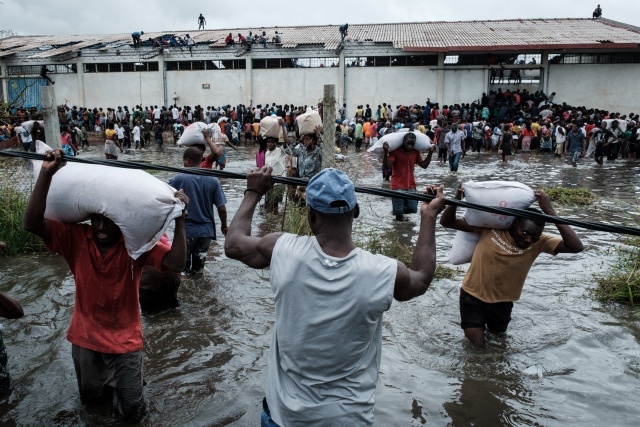 World Food Programme (WFP) spokeswoman Deborah Nguyen told AFP in Beira that "the priority today is to rush to rescue people trapped in the flooded areas" as much as organising temporary shelter for those rescued. The district remains cut off after roads were swallowed by massive sinkholes and bridges were ripped to pieces by flash floods -- a landscape that Defence Minister Perrance Shiri said "resembles the aftermath of a full-scale war".